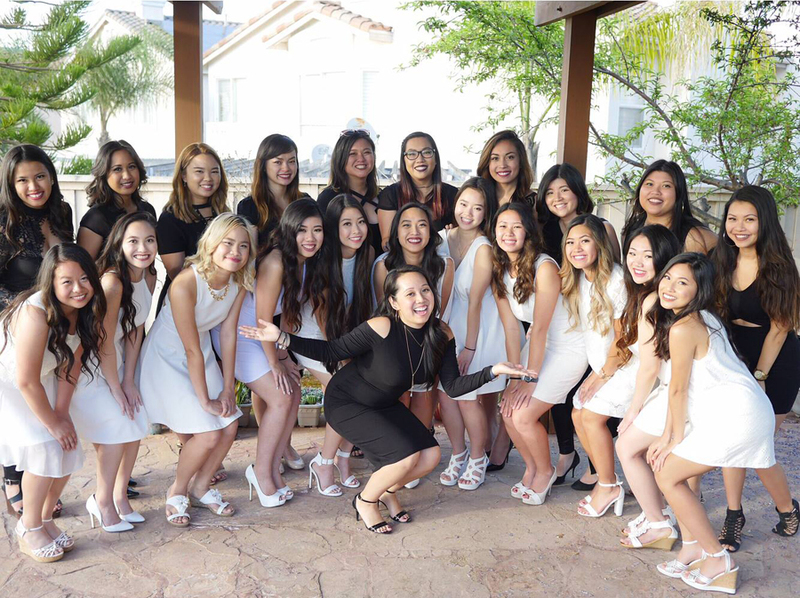 Alpha Phi Gamma is a wonderful opportunity for personal growth, bringing together all women of different nationalities through the bonds of friendship and sisterhood, under the common goal of Asian American Awareness in the university and the community. Along with this, the sorority has many other goals and wonderful qualities. If you feel that this bond is what you would like to bring to your school, then please, by all means, stay in contact and we will be glad to mentor you in your program. Above all, we would like to help you discover if Alpha Phi Gamma is “the” sorority for you. That is what is most important; for you to find what sorority best suits your own personal needs. By becoming a sister of Alpha Phi Gamma you can develop friendships that can last for a lifetime. Through the activities and events that you will experience by joining Alpha Phi Gamma you will form bonds that will strengthen as time goes by. This unique opportunity will enable you to meet people who you may not normally meet in your day-to-day life at school. Not only do you develop friendships with members at your University, but you will also have the opportunity to meet members from other schools and further your bonds of Sisterhood. Understanding that our community is an integral part of our lives, Alpha Phi Gamma has made philanthropy one of our main focuses. At Alpha Phi Gamma’s First National Conference, the Fight Against Violence Toward Women was officially established as our National Philanthropy. We hope to spread awareness of this problem to others and to help in the community. Our Sorority also continues to participate in many other philanthropies such as AIDS Walk, Race for the Cure, Revlon Run/Walk, shelters, food drives, and toy drives. To help promote and reinforce our participation in philanthropies our National Board awards both schools and individuals for their dedication and efforts. A well-rounded individual should have varied interests that enables them to grow in all directions. Alpha Phi Gamma provides that with our social events, community interest and our scholastic standards. As part of our efforts to encourage academic excellence study hours and groups have been designed to help with school. An above average grade point average must be maintained to be a member of our Sorority. Alpha Phi Gamma recommends a minimum of 10 dedicated and motivated young ladies to begin the Expansion Process. In order for you to become part of Alpha Phi Gamma we require that each member must be enrolled in college, maintains a 2.5 GPA, and is willing to dedicate her time and effort into continuing the history and traditions of Alpha Phi Gamma. The Expansion Chair will send you an “Interest Group Profile” form after she has had a chance to speak to you personally. The form and a processing fee per member needs to be submitted 4 months prior to the time of the Potential New Member Education process. Use the below contact form to get in contact with our Director of Expansion to let us know that you are interested in becoming a sister of Alpha Phi Gamma. Becoming an Interest Group is the first step in getting Alpha Phi Gamma started at your school. During this time you will learn the history and meaning of our sorority, with the guidance of Alpha Phi Gamma. What is a Big Sis, Mom, Expansion Team, Expansion Chair? To ensure the success of expansion to your school, Alpha Phi Gamma has established a mentor program to help you through the experience. is given to each new member of Alpha Phi Gamma. The Big Sis personally gives guidance and support through the pledging program. The support that a Big Sis gives is much like that of an older sister. is there to educate and guide the pledge class as a whole through the pledging program. is a group of sisters, who will take on the responsibility of mentoring the “Interest Group” and helping them learn the meaning and history of the sorority. is the initial contact person when starting the process of expansion to a new school. Is there a process in order to be a sister of Alpha Phi Gamma? Yes, there is a process in place in order to be a sister of Alpha Phi Gamma. This process is called the Potential New Member Education Process. The period in which an “Interest Group” learns the meaning and history of the sorority. During this time they also develop strong bonds of sisterhood, time management, and team work to help them get through the pledge program and school. What is the timeline to be an Alpha Phi Gamma interest group? The estimated time is 3-4 months, this can be shorter or longer. It all depends on the how well the “Interest Group” develops as a whole, individually, and if they have established an understanding of what it means to be an APhiG. Need more information? Want an Alpha Phi Gamma representative to contact you? Already have an Interest Group? Go ahead and fill out the contact form below and a sister of Alpha Phi Gamma will get in contact with you as soon as possible! Please contact the Director of Expansion at expansion@alphaphigamma.org if you have any additional questions or concerns.